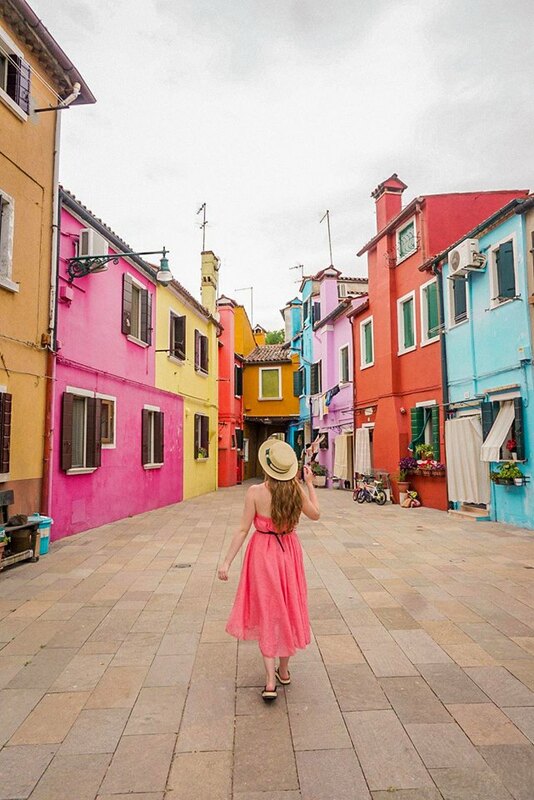 As a solo traveler, it can be difficult to get that perfect, “Insta-worthy” travel photo. 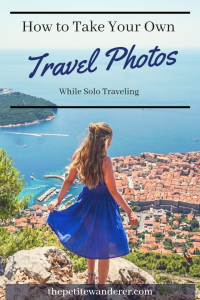 Since I started taking my travel Instagram account seriously, I have made it a priority to take solo travel photos as often as possible while I am traveling. It is not always easy to get pictures of yourself when traveling solo. However, if taking awesome travel photos is as important to you as it is to me, you will figure out a way to do it! 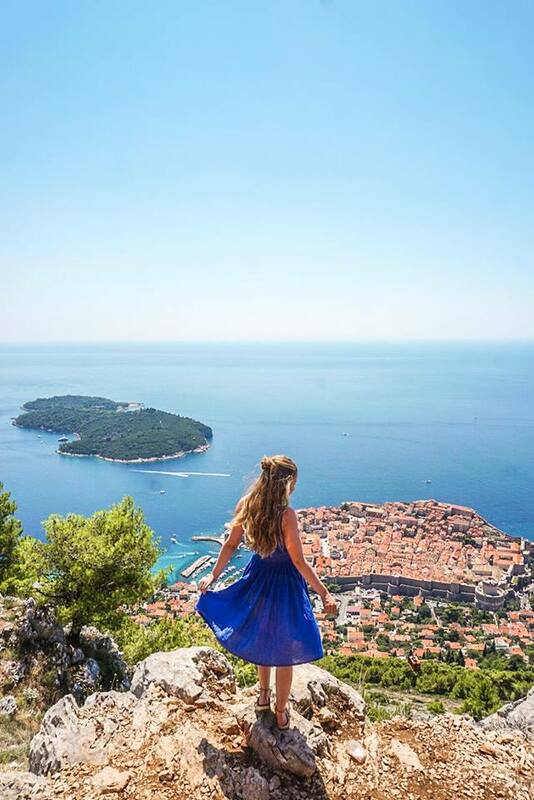 S/O to the awesome traveler who got this photo of me in Dubrovnik, Croatia! 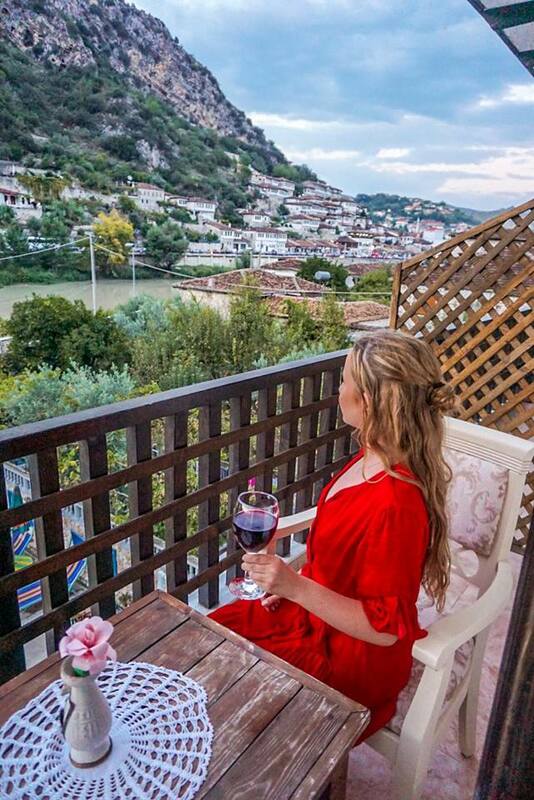 I know some people feel awkward asking a total stranger to take their picture, but if you want to get photos of yourself, sometimes you will have to just bite the bullet (or drink a glass of wine beforehand) and ask someone to help you out. There have been times where I’ve literally shown up to a photo location completely dressed up for an Instagram photo, with the hopes that someone would be there to help take my pictures. 9/10 there will be someone who is more than willing to take your photos. Ask someone who is carrying a camera. Chances are, they will know what they are doing. One time, I stumbled across a professional photographer who had his own photography exhibition in the city! Talk about lucky! 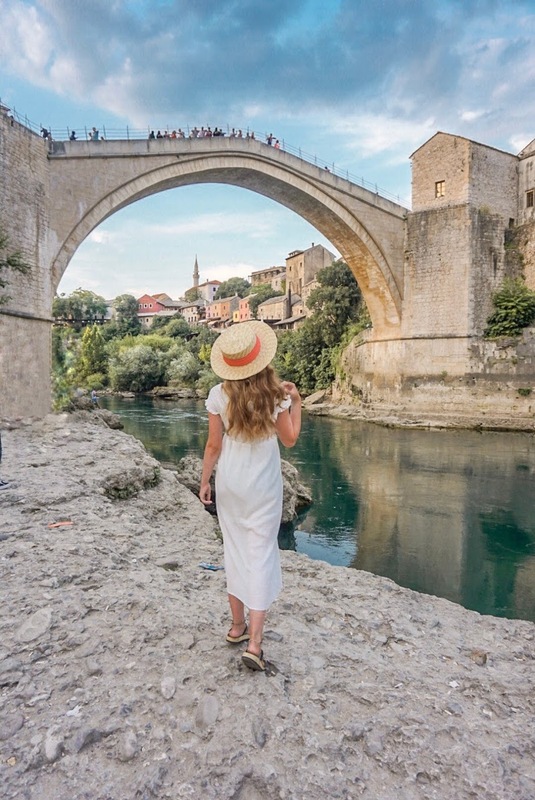 I find that younger travelers around my age (20’s) take the best shots, as they know the picture is likely for Instagram, and they already have an idea of what type of photo you are looking to achieve. If it is for Instagram, you should always ask them to take it in portrait mode instead of landscape. I always will show them the way I want the camera to be angled before I go to pose. Take an example photo. That way, you will -hopefully- get the exact shot you want. Have no shame- Sometimes, I will literally ask “can you please take a bunch?” Yeah, you might feel a little annoying, but you have to be ruthless if you want to get the perfect photo. Show your appreciation. This is something I always make a priority- especially if the person took a good chunk of time to take my pictures. If someone spent a lot of time helping me, I will usually offer to buy them a drink or a coffee. Offer to take their photo- and be sure to spend a lot of time doing so if they spent a lot of time taking photos of you. Asking others to take your photo is also a great way to meet people while traveling! Sometimes I’ll end up hanging out with the person afterwards. You never know who you will meet, if you just put yourself out there! If I am long-term travelling, you better believe I will NOT be lugging around a bulky tripod with me. However, if you are going on a shorter solo trip, you might want to pack a light-weight tripod with you. The benefit of a tripod is that you don’t have to rely on anyone to get a shot for you. I actually have a lot of Instagram friends who PREFER to take their own photos with a tripod- even if they are travelling with other people. When you have a tripod, you can essentially get the exact shot you envision, since you are in total control. You can also create a make-shift tripod using objects that are around you. I’ve created tripods with rocks, benches, plant holders, etc., and have gotten some pretty good shots from them. Just BE CAREFUL and make sure your camera is secure. 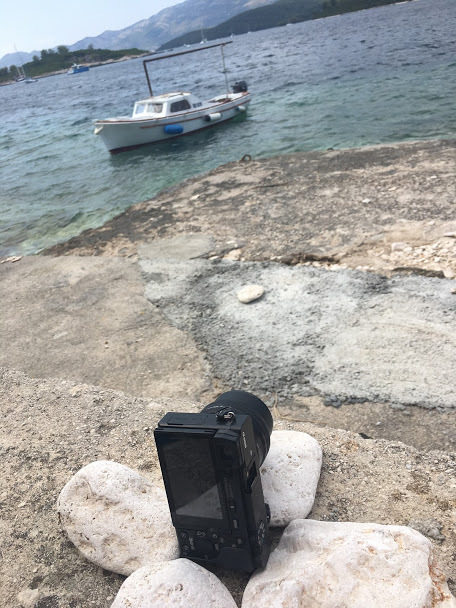 The make-shift tripod I created to take the photo above. There are tons of apps that allow you to use your phone as a remote control. This allows you to see the camera frame via your phone, so you can carefully place yourself within the view of the shot. You can also use a self-timer or shoot on continuous mode, so you can get a ton of shots without having to run back and forth to the camera. 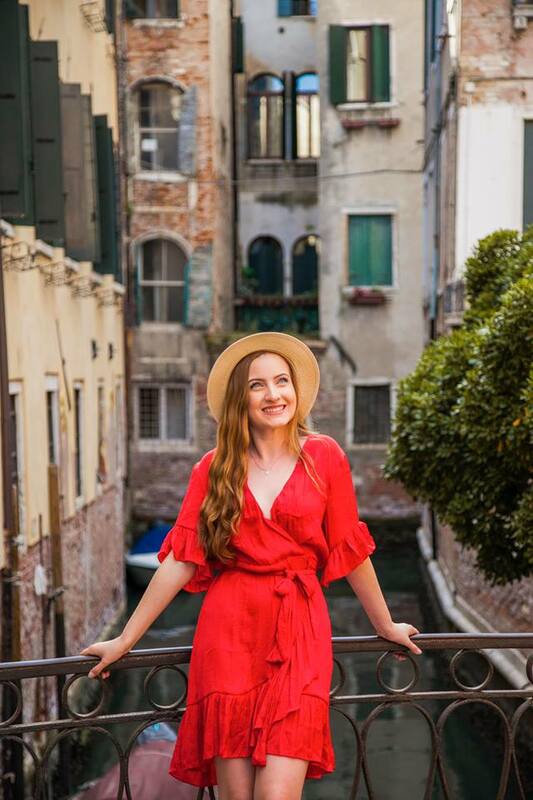 Travel influencer, Christina Galbato, has a great video on taking your own travel photos you can watch here. If you will be using the tripod method, I HIGHLY recommend to get up early to get the pictures. First off, there will be way less people out so you won’t get any photobombers in the shot. Also, depending on where you are, it would be much easier for someone to steal your camera when its crowded, than when the streets are empty in the early morning hours. Definitely the most expensive option, but will probably get you the best results. Most popular travel destinations have tons of photographers readily available to take high-quality photos of you. Where to find these photographers? -Look under instagram hashtags.. #(insert city name here)photographer. I.e., #parisphotographer, #venicephotographer, etc. This way, you can take a look at their photography style before deciding to hire them. If you like their work, just send over DM for price inquiries! 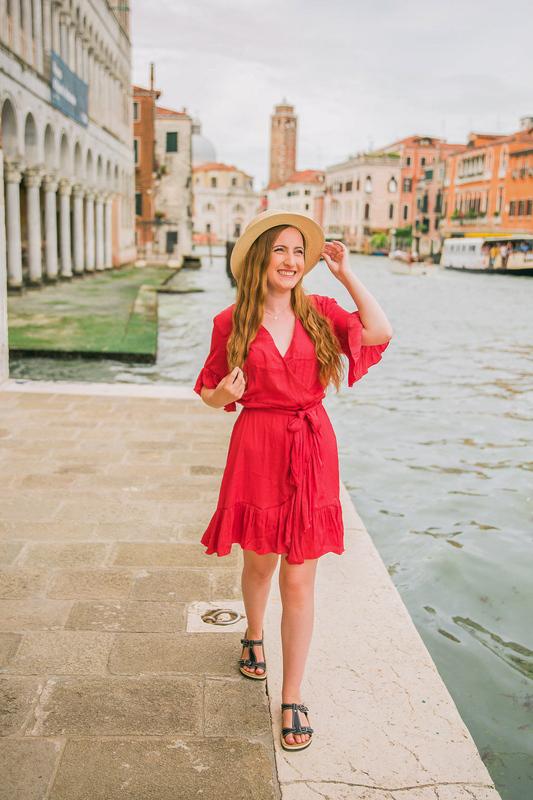 – Airbnb Experiences- This is how I found my travel photographer for Venice. Many large cities will offer photo tours or photoshoots, many of which are fairly affordable. -Flytographer– Flytographer is an awesome website where you can search for local photographers in the location you are traveling to. Most destinations will have several different photographers to choose from, and you can check out their previous work and photography style. Prices start at $200 USD for a photo shoot. -Google– I feel like this is pretty obvious, but just google “*destination name here* photographer”! You can also take a look at their google reviews to see if they have left previous customers happy. If you are traveling to a place where you know other Instagrammers live, send over a dm letting them know you will be in the area, and ask if they would like to meet up to take photos! Not only is this a great way to network with other bloggers and Instagrammers, but you can make some awesome IRL friendships by doing this. You will probably get the best photo results this way, because you will be taking photos with someone who knows Instagram, and knows what type of photos perform well on the platform. Whether you are staying in a hotel, an Airbnb, or a hostel, the owners and workers are there to help you! Don’t be shy to ask one of the workers if someone could help take your travel pictures if the photo location is nearby. To show your appreciation, you can tag the accommodation once the pictures are uploaded! Went on a photo shoot with a Norwegian friend I made in Italy! Probably the most fun option- make travel buddies who will be more than willing to take your pictures. Even better, make friends with someone who is also totally into Instagram or photography, and go on a travel photo shoot together! And how do you make friends while traveling, you may ask? I plan on writing an entire blog post on this topic in the near future, which I will provide a link to here. In a nutshell- put yourself out there. The best way to make friends is to stay in a hostel. You will meet people from all over the world- many of which who are also travelling solo (and would like to get travel pictures too!). 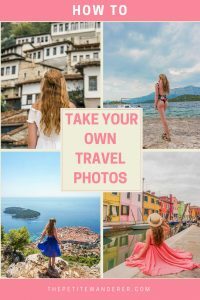 How do you take your own solo travel photos? Any tips I left out of here? Leave them in the comments! Such good tips! I need to start taking more of my own photos again!! This information is so useful Kerry! I can’t wait to test some of these out (esp. the stranger one!). 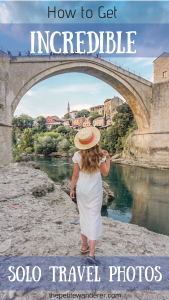 I definitely use all these tips when I travel alone! It’s definitely a challenge so I just end up hiring a photographer! 😛 Thanks for sharing! Hey Nancy! Awesome 🙂 Haha I’ve hired photographers before too- it is a fun experience and it saves a lot of hassle for sure! Hope you have a great day! Awh you’re welcome! Beyond happy you found it helpful!